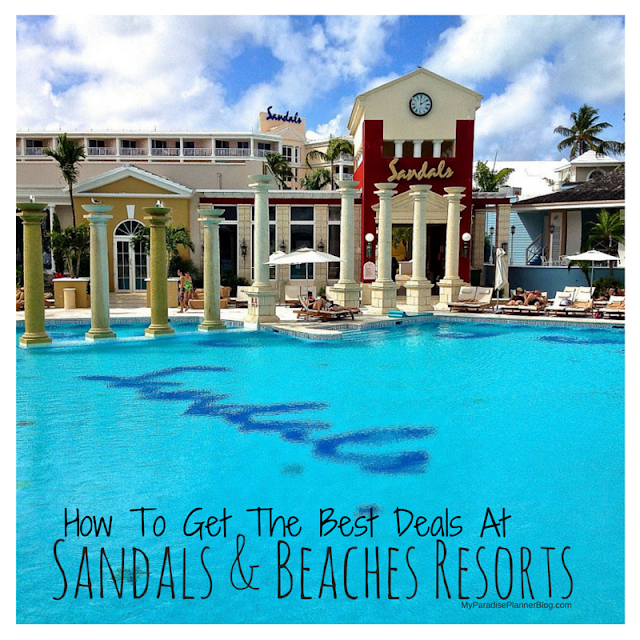 FREE Anniversary Nights For Honeymooners At Sandals Resorts! Don't forget, past guests at Sandals also receive points from their previous stays which usually equal savings of $250 or more towards their next stay. So top that all off with the various discounts and promotions-- which are combinable with this offer-- and you'll have some of the BEST savings in the travel industry for your 1 year anniversary trip! *Anniversary promotional offer is valid for honeymoon bookings made between Mar. 18, 2013 and May 18, 2013 for travel within 60 days of client’s wedding. 12-month booking window and 18-month travel window for return anniversary stay. Blackout dates vary per resort. One free anniversary night (5 night stay) and two free anniversary nights (6 night stay or longer) valid on premium room category; upgrades available at additional cost. Proof of marriage license must be provided via email to info@myparadiseplanner.com or via fax (908) 842-9172 to qualify. Combinable with other promotions and discounts; offer can be changed or withdrawn at any time without notice. Restrictions apply.